This month we are getting personal about your eating habits. Does this strike a little too close to home? We hope not, because its’s one of the easiest and most basic ways to do good both for your personal self and for the environment. 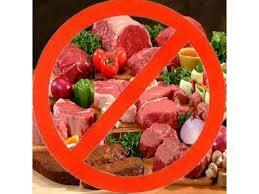 Eat Much Less Red Meat. And by red meat, we mean any ranched or farmed meat that does not come from a bird: Steak, bacon, pork chops, famed venison, whatever.